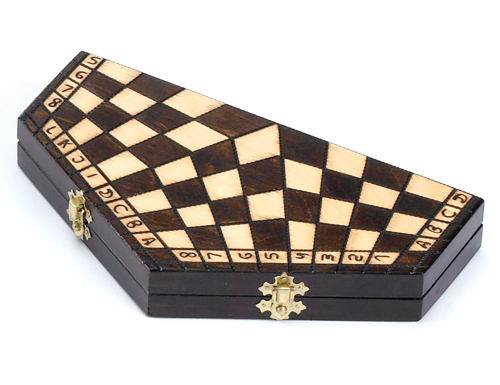 Wooden board and playing pieces for Chess for Three! Black, walnut & natural stains. Dimensions: 11 in. Diameter x 1-5/8 in.